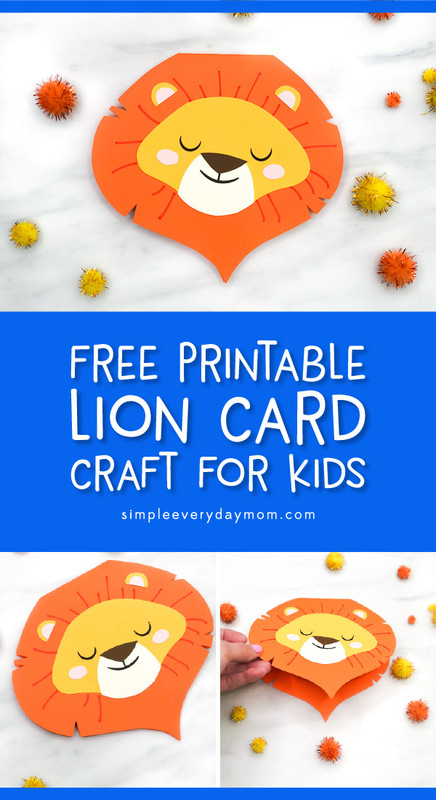 Inside: Make this easy and cute lion card craft with the kids to give to Dad for Father’s Day or his birthday! 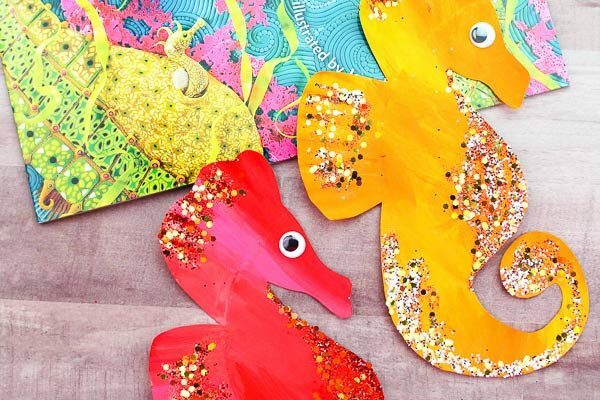 Lately we’ve been focusing all our efforts on making some adorable Father’s Day crafts. 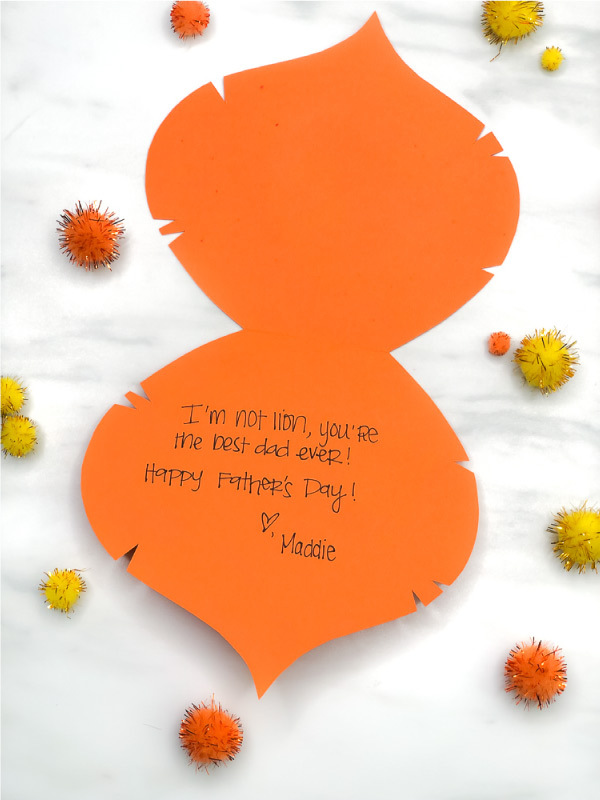 Last year we made this free printable Star Wars card for Dad and had so much fun putting them together we decided it was time to make a new one. 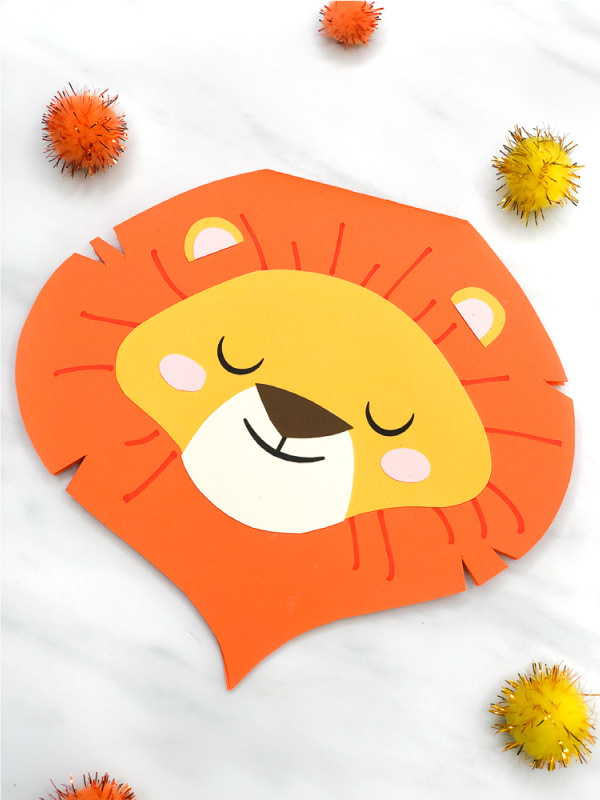 Today we’re sharing this DIY Father’s Day card featuring a cute lion. 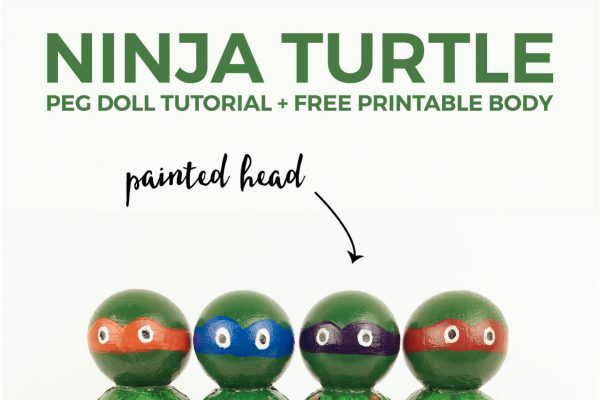 Read on below to see how to make one of these with your kids or students! 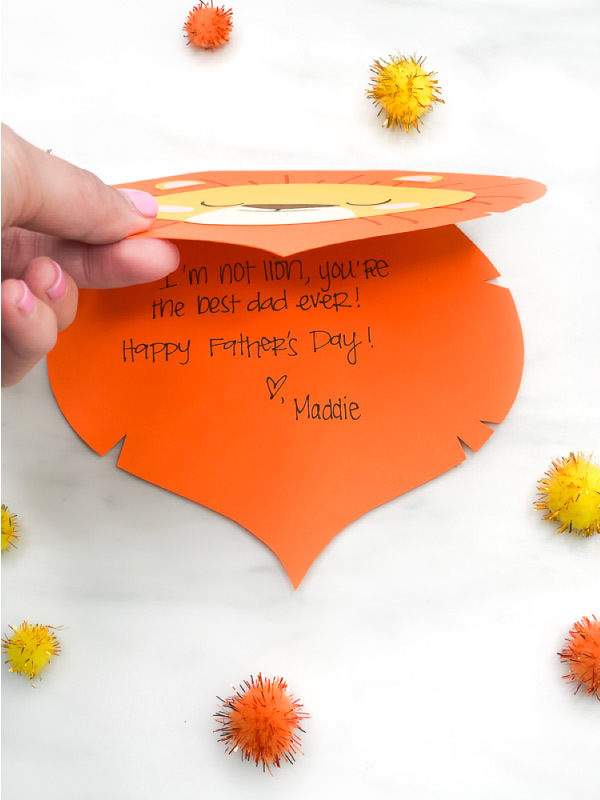 Even though we’re making this homemade card for Fathers Day, you certainly don’t have to limit it to just Dad. You can make this any time of year for men, women or kids. 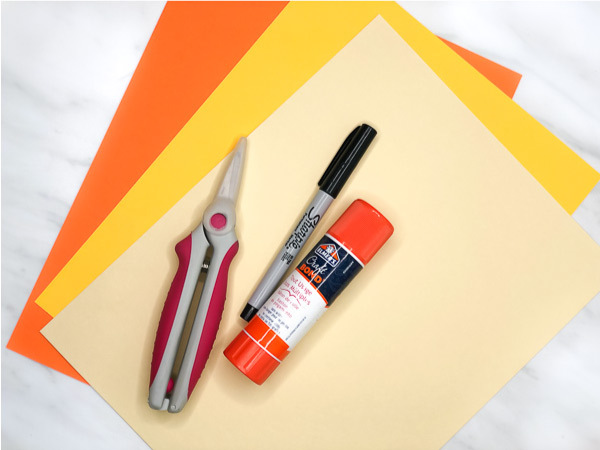 We’re certain everyone will love this sweet and thought DIY card! Download the lion card template. There are two templates in this file. The first type (pages 2,3) are for using with a single child. Print this one onto white card stock, cut out then trace onto the corresponding colored card stock and cut out a second time. The second type (pages 4-8) is for multiple children. 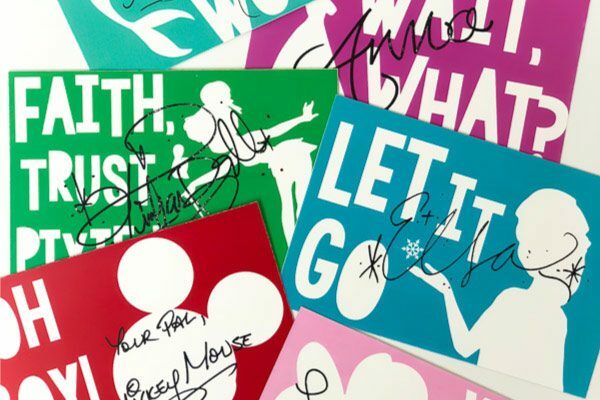 Print this type directly on to the colored card stock so kids only need to cut out the template once. Cut out all the pieces and set aside. 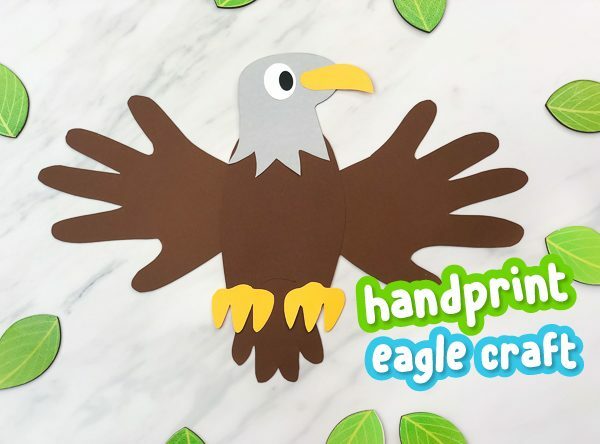 Note: You can also make this just a paper craft and not a card by using the standard lion mane template included in the file. 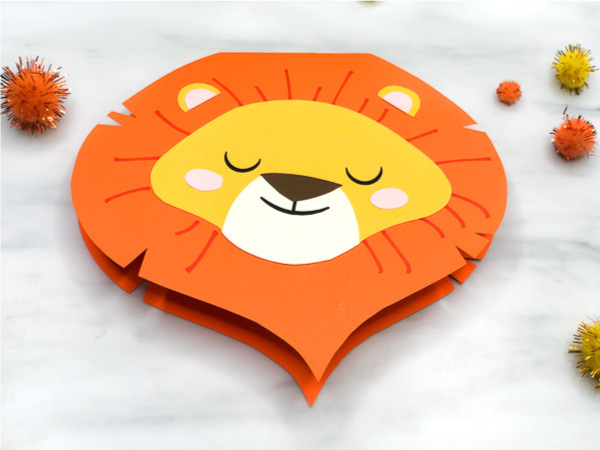 If you’re turning this lion craft into a card, then fold the orange paper in half along the top of the lion’s mane. Cut out the mane, leaving the top, flat part of it uncut. This is the card fold line. Assemble the lion’s face by gluing the muzzle onto the bottom of the lion’s face. Take the brown nose and glue it to the top of the muzzle. Place the pink cheeks on either side of the muzzle and glue into place. Put the assembled lion’s face in the middle of the lion’s mane and use the pencil to draw hair lines extending outward from the lion’s face. Remove the face and draw over the pencil marks with the orange marker. Glue the entire assembled lion’s face in the center of the mane. Glue the outer ear above the head and the inner ear inside that piece. Repeat for each side. Open up the card and write a special message! 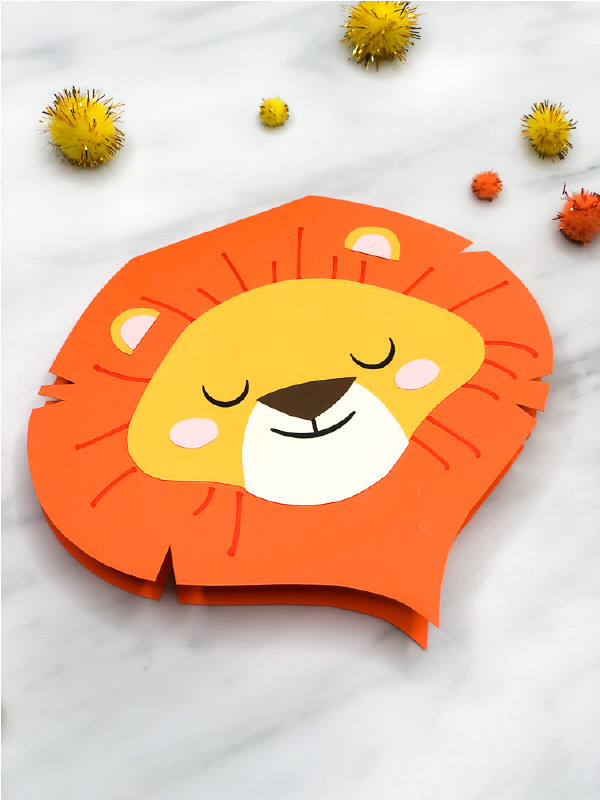 That’s all you need to do to make a simple lion craft kids will have a blast making. 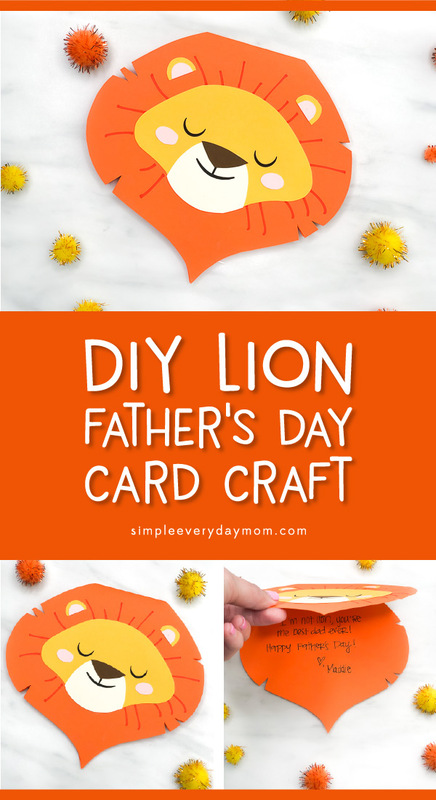 This homemade lion card is perfect for giving to Dad or Grandpa for Father’s Day, for their birthdays or for any time you want to give them a special surprise! Don’t forget to enter you email in the form at the end of the post to download your free copy of the lion card template.